Home » 3DS » Article » Bravely Default » Mario Party: Island Tour » Pikmin 3 » Super Mario 3D World » The Legend Of Zelda: A Link Between Worlds » Wii U » Nintendo Direct: Zelda: A Link Between Worlds, Pikmin 3 DLC, Bravely Default Features And More! 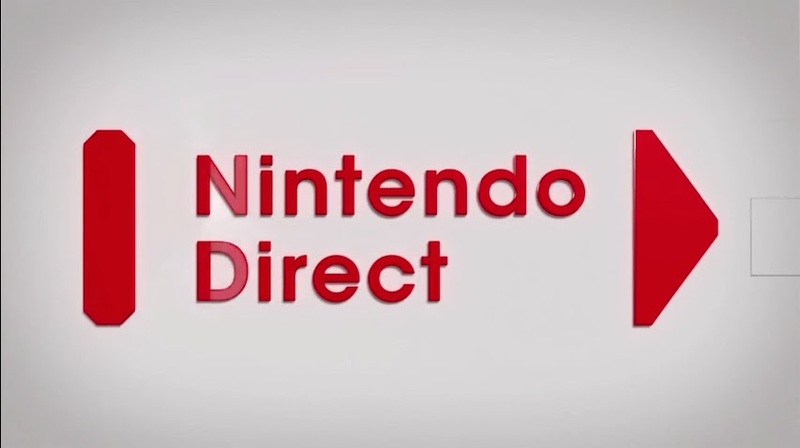 Nintendo Direct: Zelda: A Link Between Worlds, Pikmin 3 DLC, Bravely Default Features And More! On the 13th November, Nintendo hosted another one of their Directs where we were given more info on upcoming titles to be released this holiday season and a little further on in the future. So the direct was kicked off with The Legend Of Zelda: A Link Between Worlds! We were shown a brand new trailer giving us a better look at the game’s world, mechanics such as being able to turn 2D and a better understanding of the story in the upcoming game along with characters and locations. The feature that stood out most to me was the ability to battle Shadow Link on Street Pass. Players can make their own Shadow Link, choose what weapons he uses and the better the equipment, the higher the bounty it would have. This Link is then sent to others via Street Pass. Battles take place once talking to Gramps who informs you of the players you’ve tagged via Street Pass and winning earns you rupees. It was also announced that a 3DS bundle would be released with the game, and that a digital version would be available on the card for whoever buys it. Check out the Nintendo Direct in full below! Next up is Nintendo’s very own mascot, Mario who apparently has two games being released in the same month!? We begin with Mario Party: Island Tour for the Nintendo 3DS, where the cool thing is that it can use the handheld’s Download Play feature and allows you to link up four players for Multiplayer from just one card. Most games when doing this drastically limit you regarding what you can do but it seems like here you have access to pretty much 70% which I thought was rather impressive. We’re treated to a quick Single Player demo where Mario reaches Bowser’s Tower and the goal is to get to the top… but wait, you first have to go through 30 floors of minigame madness along with duking it out with a boss every 5 floors. Bravely Default makes an appearance and we’re given a rundown of some of the game’s new features such as the Brave and Default System which allows you to disrupt the flow of battle and infuse it with strategies that’s not possible with any other RPG. The Bravely Second feature allows you to freeze time at any point during battle and let loose a volley of attacks, this apparently uses up Sleep Points which can be collected by putting your Nintendo 3DS into sleep mode. You can customise your character with a vast range of jobs, abilities, weapons and spells. Lastly we look at how Street Pass comes into play and it does in a unique way, by allowing you to summon friends into battle to help you out of a tough spot. North America rejoice as a Collector’s Edition will be coming your way including the game, artbook, 34 AR Cards and a soundtrack CD. UPDATE TIME and its one which seems to be pretty useful for the majority of both Nintendo 3DS and Nintendo Wii U owners. It was announced that next month you’ll be able to combine both your balance on your Wii U with the one on your handheld by allowing you to register you Nintendo Network ID on your 3DS. Other smaller updates include the Youtube app coming to the handheld and Miiverse integration. So Pikmin 3 is getting some DLC, more specifically to its Mission mode. Additional stages which require you to complete as many tasks as possible within the time limit. In addition to the Collect Treasures DLC in round 1 and Battle Enemies DLC in round 2, a 3rd round will be released for Mission mode that will include additional stages as well. The levels included in round 3 will be completely new stages compared to the altered ones seen before. This will all be available on December 2nd. Reggie gives us a look at the huge amount of Indie titles coming to the Nintendo eShop and lastly we end it off with the latest edition to the Mario franchise, Super Mario 3D World for the Wii U. We’re given a recap on the game’s mechanics, the fact that it’s multiplayer and ten new facts are revealed to us regarding the upcoming game. Super Mario 3D World, The Legend Of Zelda: A Link Between Worlds and Mario Party: Island Tour are all being released on November 22nd, so lots to look forward to.